Size 43cm. 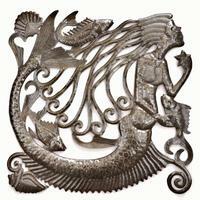 Mermaids have been with us for centuries. 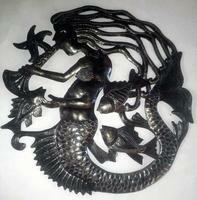 They have crossed boundaries of time and space, with one culture enriching the mermaid lore of another. 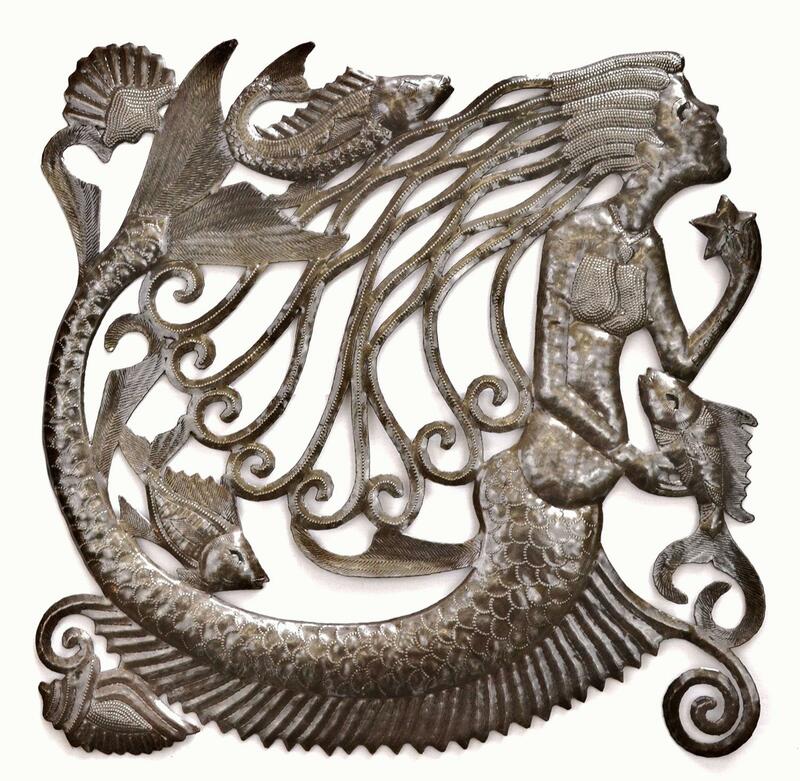 Haitians have her in the form of La Sirene, blended from versions as diverse as the Ancient Greeks, Renaissance Europeans, and the tribes of West Africa. Christopher Columbus, in his explorations of Hispaniola, wrote of siting, "...three mermaids, though these were not as pretty as mermaids that had been previously described to me. In fact, somehow in the face, they appeared more as men." Captain John Smith's experience in 1614 was evidently more pleasant, as he described, "a fish-tailed mermaid with round eyes, a finely-shaped nose, well-formed ears and long green hair." What he thought of her naked breasts was curiously avoided his historical account!